I work in the marketing department for The Group Real Estate. Marketing is something that can truly help you out, help push your “brand” or logo, and keep the strength of your company going. Run Everything Labs has wonderful marketing. 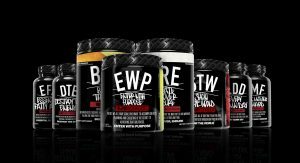 One of the great mantras put out by Dana Linn Bailey and her husband Rob Bailey, proud owners of Run Everything Labs supplements, is this exact phrasing: “Our products are supplements…not magic. You still need to work.” It’s something that is always misconstrued in the fitness industry, and even more so from a marketing stand point. Most supplements are just that: a marketing too, or brand. Athletes need to make a living and a lot of that comes from marketing supplements, brands and sponsors. When doing this, they are given a contract and asked to promote the product that they will be representing. When this happens, though, it is from an athlete who is passionate about what they are promoting. Supplements can definitely play a good role in athletics, though. There is no taking away from that. However, there is a strong need for proper rest, proper hydration and proper nutrient absorption from the food we consume. A supplement is just that… a supplement. It supplements your hard work and your nutrition. As we workout, our muscles break down, our endocrine system goes through a, sorta, shock therapy, we sweat, and we wear down. This is where supplementation can play a crucial role. Especially in athletes who are older and those who just want to be in a healthier state of mind, who are also a bit older. After the age of 30 to 35, our hormones start to go down. All of them. Whether its testosterone, estrogen, libido, or protein synthesis and digestion. It’s all a part of the aging process. We lose mobility in our tendons, our joints, and insertion points in our muscle to muscle movements. Getting adequate rest, adequate nutrition and find a proper balance in our workouts is what is most important here. However, there is a call here for proper supplementation. As we workout, we put an immense strain on our body. The muscles fibers tear and break down, which is a good thing – this is why we feel very sore after a workout, our synovial fluid (think of this as the oil that greases your joints and helps them move) gets clogged and doesn’t “flow” as normal, causing soreness in our joints. We also may experience injuries that we can’t directly heal from, such as tendinitis or tears. This is where supplementation comes into play. One of the main reasons we need to consume food is for energy and for repair. Our body goes through a process called protein synthesis, this is what helps the muscles building process along. One of the reasons that we consume protein is this exact reason. Also, protein releases nitrogen in our body and helps with energy output. We now have a supplement called Branch Chain Amino Acids (BCAAs). This takes the Amino Acid complex that protein is built up of and gives it to us straight, thus helping facilitate protein synthesis and the repair of muscle better. The complex is usually built up of L-Leucine, L-Valine and L-isoleacine. These are the main chains of protein, and help with the biosynthesis of protein and what it does within your musculature. Amino Acids are important, as they are complexes that our bodies cannot produce, this is why we get them from the proteins that we consume. The problem with a lot of American foods and cultures is that we don’t consume enough protein, especially in a nation that is so used to consuming a lot of sugars, carbohydrates and bad fats. Now to get to the “fun supplements.” When we need energy before a workout, it can make it tough to perform at a maximal output for the workout. The best way to get any kind of benefit from a workout, is that you need to be performing at an optimal output. 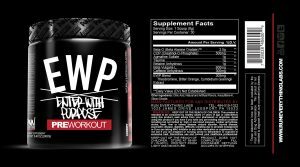 This is where a pre-workout supplement comes into play. Look for a supplement that has good ingredients, but doesn’t contain an ample amount of filler ingredients. Look for something that will give an extra boost in energy, help with blood flow, and give you focus. Look for ingredients such as caffeine anhydrous (this is the natural form of caffeine and isn’t synthesized like caffeine we get in energy drinks and soda pop), betaine anhydrous (this helps the liver process better and shuttle the supplements around. It also helps us with digestive efficiency and helps in the support of putting on lean muscle mass), taurine (an amino acid that is found in animal protein such as poultry, red meats, fish, and dairy. this helps in maintaining proper hydration and electrolyte balance in your cells. It has also been shown to help in general function of the central nervous system, which can be taxed hard in an intense workout routine) and beta alanine (which, technically, helps the muscles in concentrating on using more amino acids while going through protein synthesis). 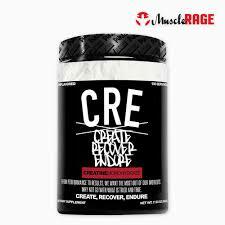 If you are going the lifting route, and you goal is to put on more muscle and strength, a must have supplement is Creatine. This comes in both forms, in a monohydrate and an HCl. Creatine isn’t an essential nutrient, as it is naturally produced in the body from arginine in blood flow and from the amino acid complex we take in, however, if you are looking to build extra muscle on top of your frame, it is recommended to take 5 to 10 grams a day. Our main energy source in the body is called ATP (adenosine triphosphate) and this is what goes away when the muscles are depleted. When you are using creatine as a supplement, it helps bring up your ATP in the muscle and will help it to give you better output, therefore rest is better and muscle growth is heightened. If you are more intense about your workouts and are looking for that extra edge, you may look at a fat burner, or something that raises the heart rate on its own, creates a heated environment in your body to get you sweating, and causes your endurance levels to rise so you are able to push past your limits even more. Also very important is a multivitamin. If you are consuming lots of good quality foods and have a very healthy diet, this isn’t as important as you get a lot of needed vitamins and micro nutrients in your food. For those that don’t, a good multivitamin will help. This will even help in the growth of your hair, eye health, and the growth of your fingernails. With all workout and fitness goals, this is all advice, please make sure that the goals you are aspiring to do fit your lifestyle, and above all else, make sure you are eating right for your needs, chasing your own goals, and enjoying the process as you do so!